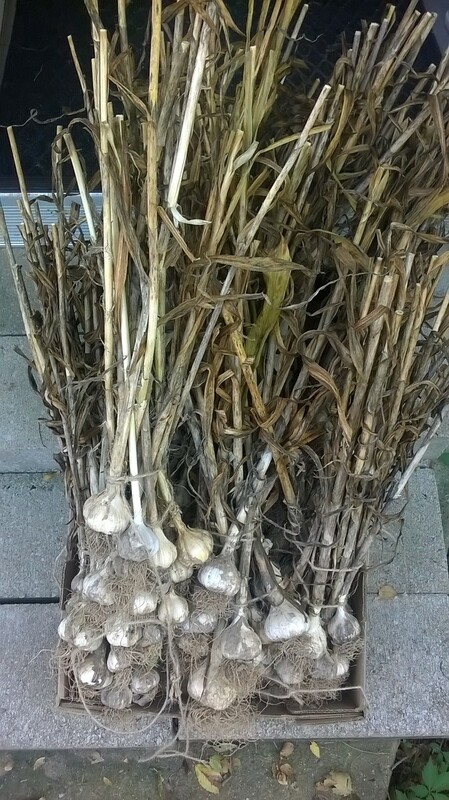 I finally processed the hardneck garlic. A lot of clean up to do. The work is well worth the effort! I started by trimming the stalks and roots. 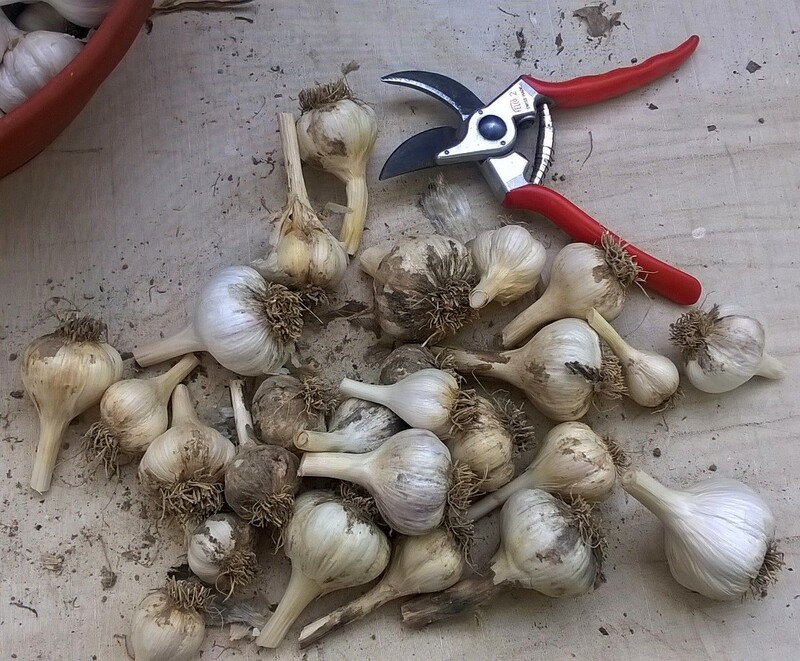 Finally, there is the process of removing excess garlic skins and grading. 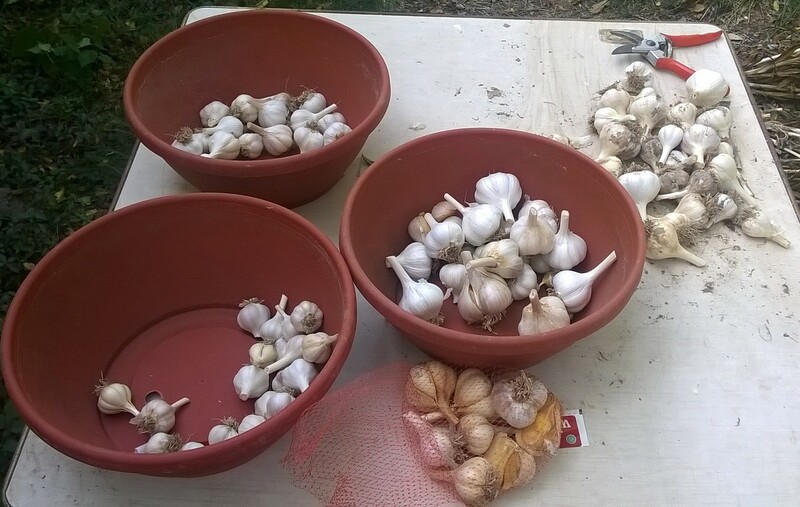 Last but not least, I put the garlic in net bags. Now I get to eat the fruit of my labor. 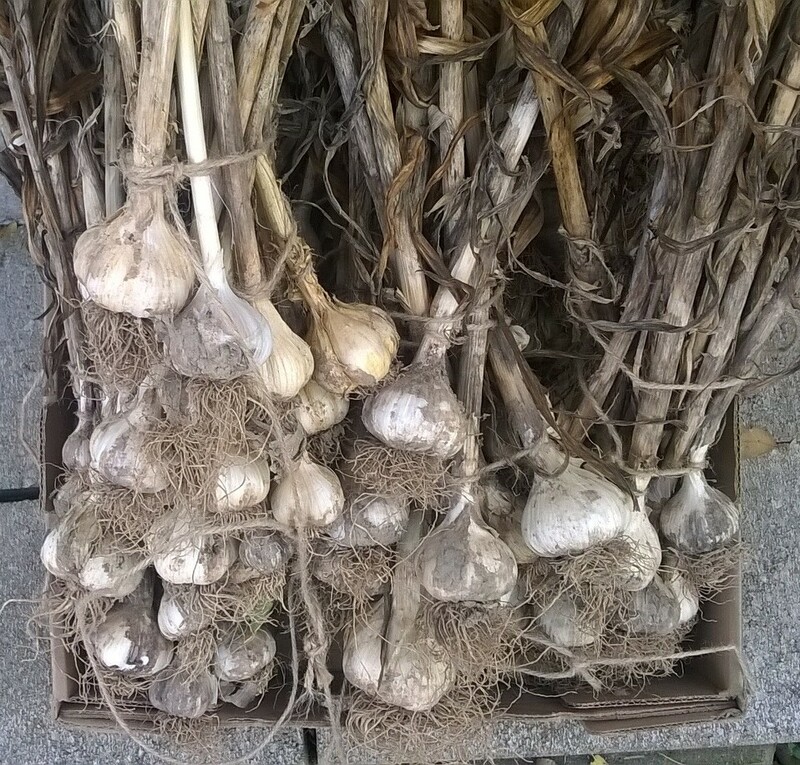 This garlic is far superior to what you get at the store! < Previous My Volunteer Butternut Squash Is not Producing! Why?? Next > Growing Lettuce in Your Garden! 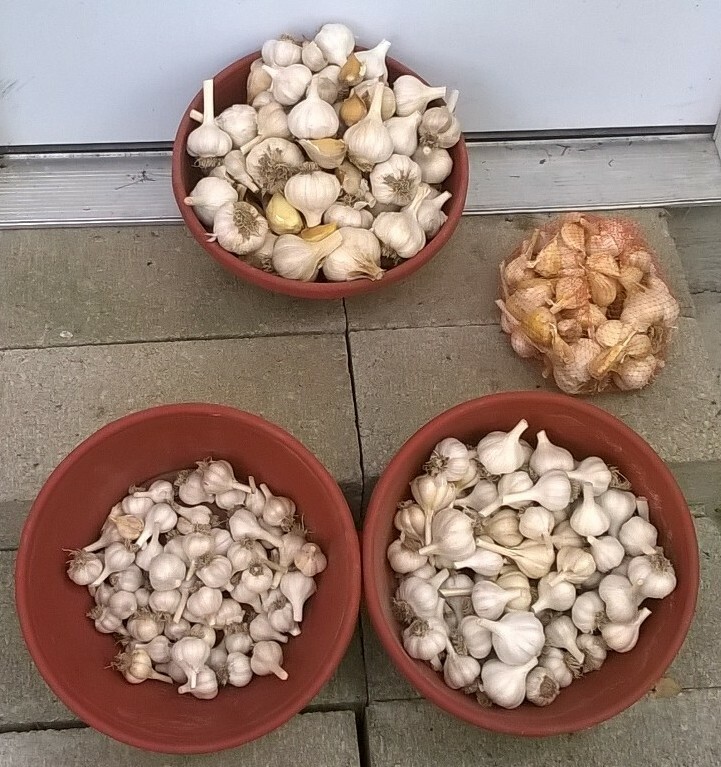 I wish I had that much garlic. Next year I will! It is more potent than store bought and lasts all year without rotting or sprouting that green thing in the middle! Nice going!